Commenting on the adoption of an updated resolution by the UN General Assembly on the violation of human rights in the Crimea, the Ukrainian Foreign Ministry stated that the de-occupation of the peninsula should become the next step. The statement of the ministry says that the adopted resolution "The situation of human rights in the Autonomous Republic of Crimea and the city of Sevastopol (Ukraine)" is a logical and consistent confirmation of the decisive position of the international community in support of the territorial integrity of Ukraine. " "One of the central features of the resolution is still the call, ignored by Russia, to ensure the unimpeded access of international human rights mechanisms, including the UN Monitoring Mission for Human Rights in Ukraine, on the temporarily occupied peninsula to monitor and report on the situation in accordance with their mandate," reads the statement of the Foreign Ministry. "The broad support for our position on the Crimea issue shows that the international community sent a clear message to the Russian occupation authorities - the issue of Crimea is not closed, the world is closely watching the actions of the invader, therefore, the perpetrators of the persecution and violations of the rights of the Crimeans will be certainly held responsible. 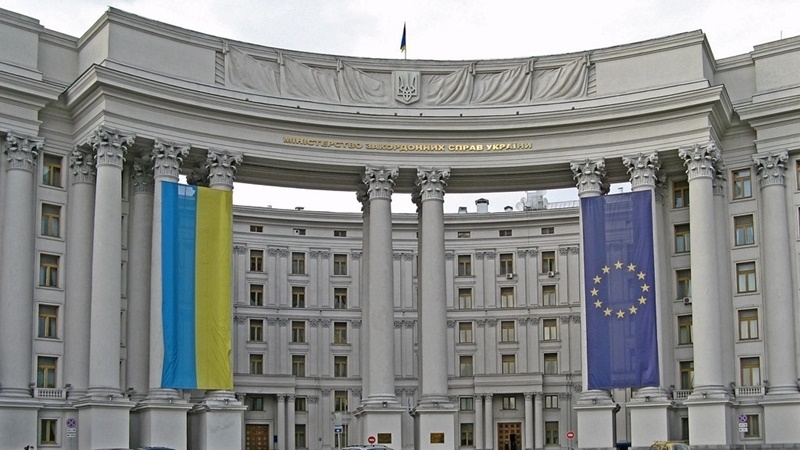 The aggressor state must stop arbitrariness in the territory it temporarily occupied and ensure compliance with international law,” the Foreign Ministry emphasizes. The statement notes that 42 countries from different continents were co-sponsors of the resolution along with Ukraine (including almost all EU countries, the USA, Canada, Australia, Iceland, Norway, Montenegro, Turkey, Japan, Kiribati, Marshall Islands, Micronesia, Palau and other). “The next step should be de-occupation of the peninsula. The base for it has already been laid today,” Ukrainian diplomats said. Earlier, Foreign Minister of Ukraine Pavlo Klimkin, commenting on the adoption of the UN resolution, said that "the UN General Assembly adopted the strongest resolution on the situation of human rights in the occupied Crimea." QHA reported that on December 19 the UN General Assembly approved an updated resolution on the state of human rights in the occupied Crimea. 70 countries favored the adoption of the document, 26 were against and 76 – abstained, as result of the voting.